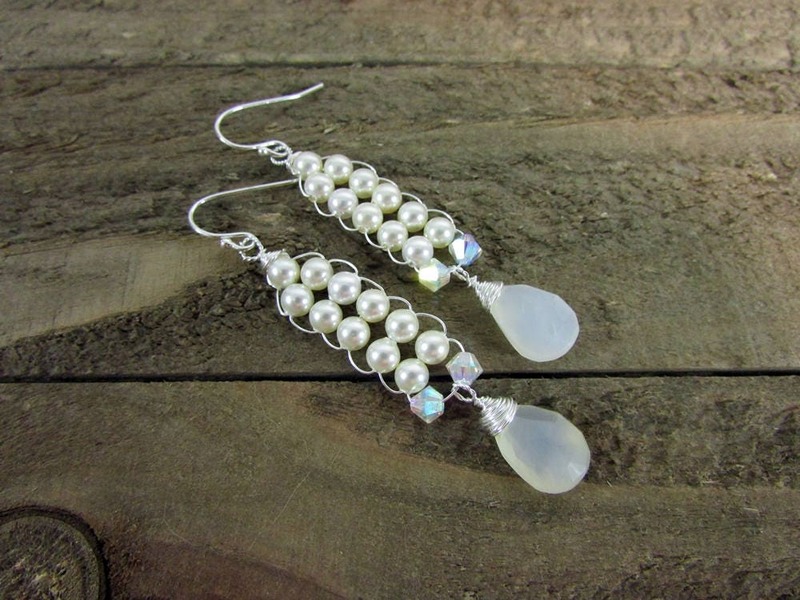 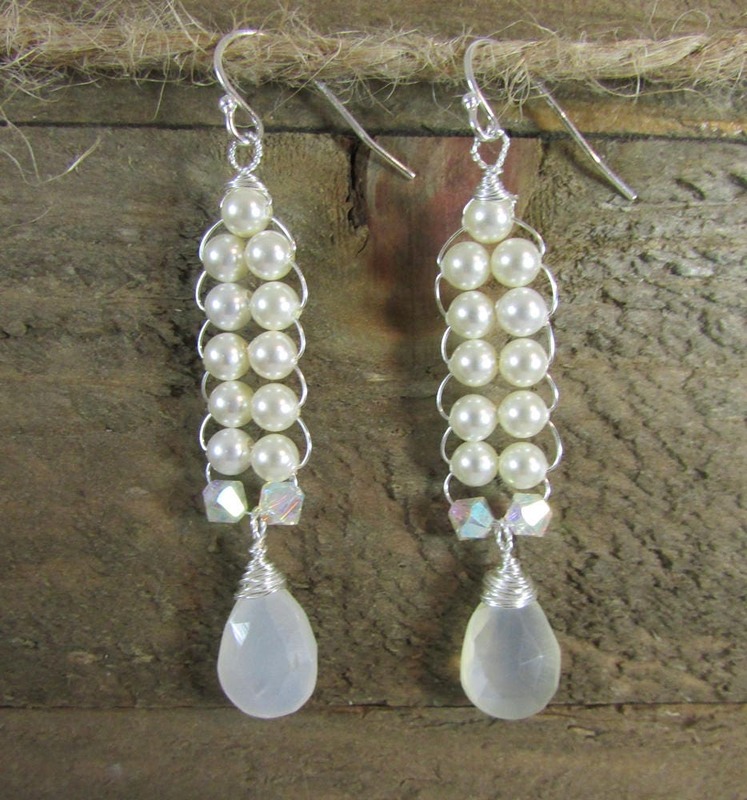 Beautiful Moonstone and Pearl earrings. 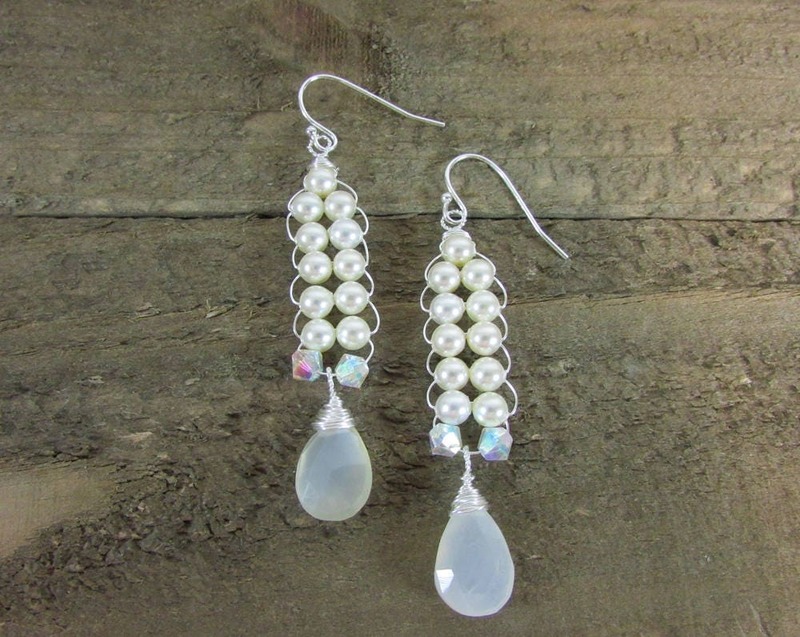 These wire wrapped earrings were made with 4mm Swarovski pearls, 4mm Iridescent swarovski crystals and teardrop Moonstone gemstone about 10mmx9mm. 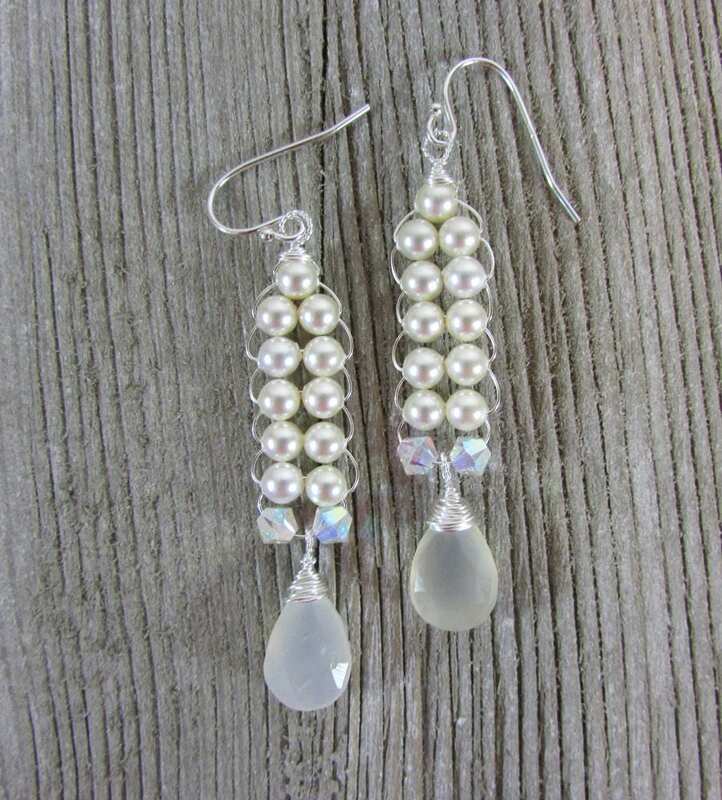 I finished with Sterling Silver ear wires. 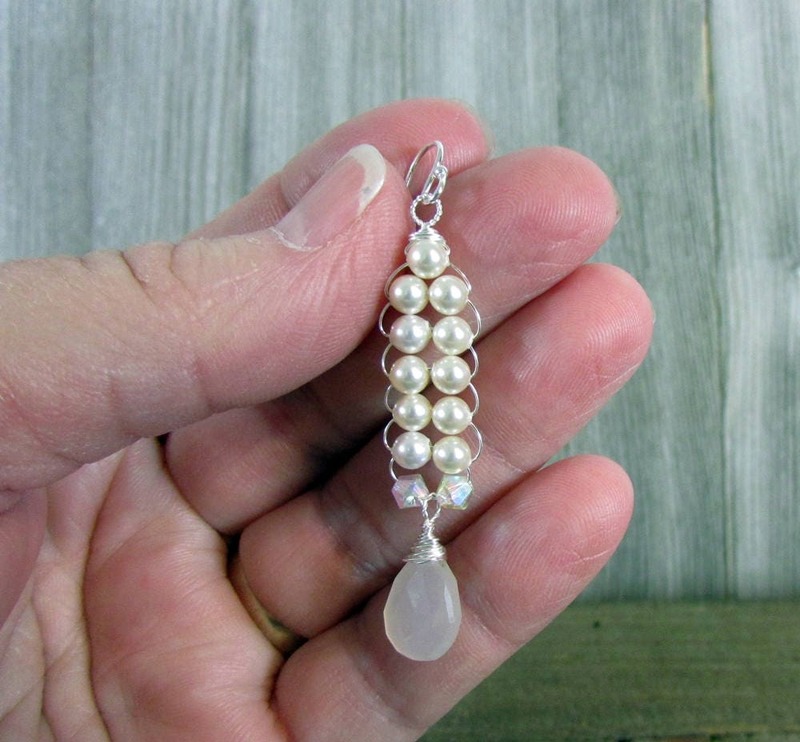 The length is approximately 2 inches. 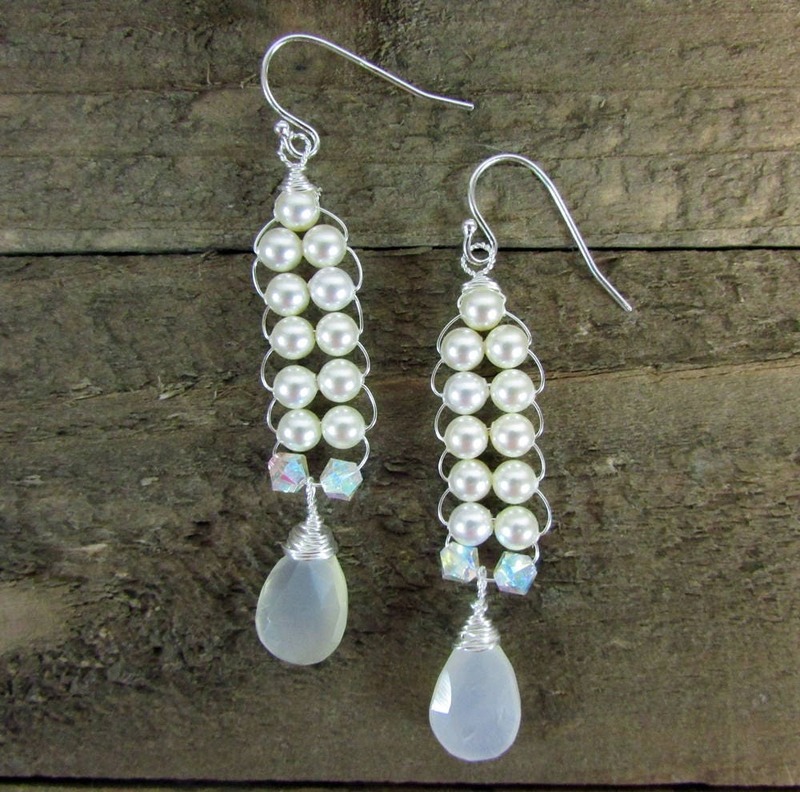 Perfect for a wedding dress or bridal party gifts or any occasion.